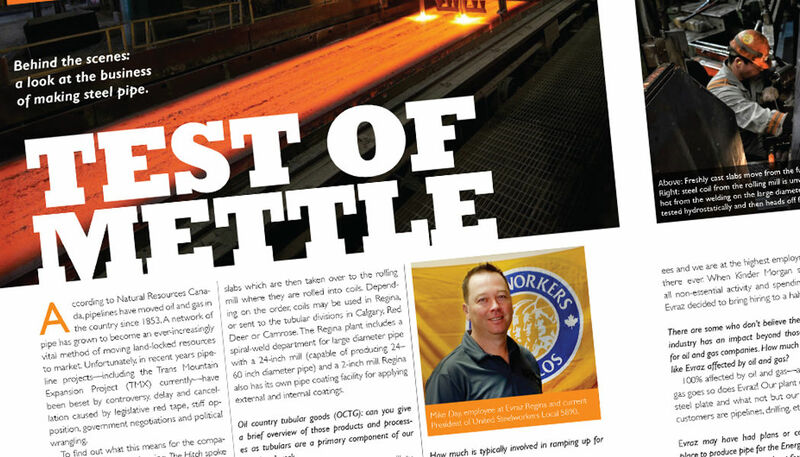 Behind the scenes: a look at the business of making steel pipe. According to Natural Resources Canada, pipelines have moved oil and gas in the country since 1853. A network of pipe has grown to become an ever-increasingly vital method of moving land-locked resources to market. 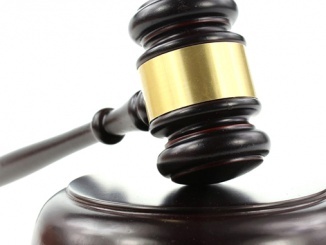 Unfortunately, in recent years pipeline projects—including the Trans Mountain Expansion Project (TMX) currently—have been beset by controversy, delay and cancellation caused by legislative red tape, stiff opposition, government negotiations and political wrangling. 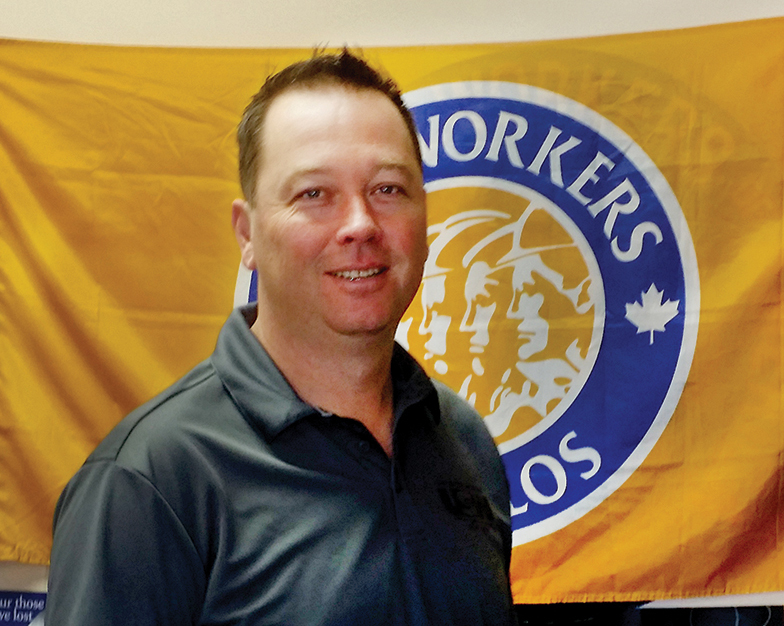 To find out what this means for the companies that actually make the pipe, The Hitch spoke with Mike Day, current President for United Steelworkers Local 5890 (USW) in Regina and an employee at Evraz. Evraz—one of the world’s top steel producers operating globally on three continents— has Canadian operations in Regina, Calgary, Red Deer, and Camrose. The Regina plant is the largest steel mill in Western Canada and produces steel plate and coil, small steel pipe, large dimension (LD) spiral-weld line pipe and oil and gas well tubing for the energy sector. Evraz has several capabilities at the Regina complex, including steelmaking and the rolling mills. Tell us a little about those capabilities and what’s involved. In Regina, we are the only fully integrated steel and pipe mill in North America. 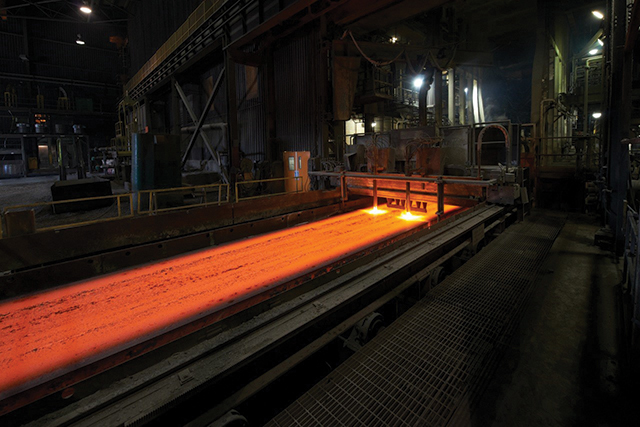 Our process begins with steel scrap arriving by rail which then gets melted in our electric arc furnaces. The molten metal (95% recycled content) is cast into slabs which are then taken over to the rolling mill where they are rolled into coils. Depending on the order, coils may be used in Regina, or sent to the tubular divisions in Calgary, Red Deer or Camrose. The Regina plant includes a spiral-weld department for large diameter pipe with a 24-inch mill (capable of producing 24– 60 inch diameter pipe) and a 2-inch mill. Regina also has its own pipe coating facility for applying external and internal coatings. Above: Freshly cast slabs move from the furnace to the next stage in the hot rolling process. Oil country tubular goods (OCTG): can you give a brief overview of those products and processes as tubulars are a primary component of our members’ work. 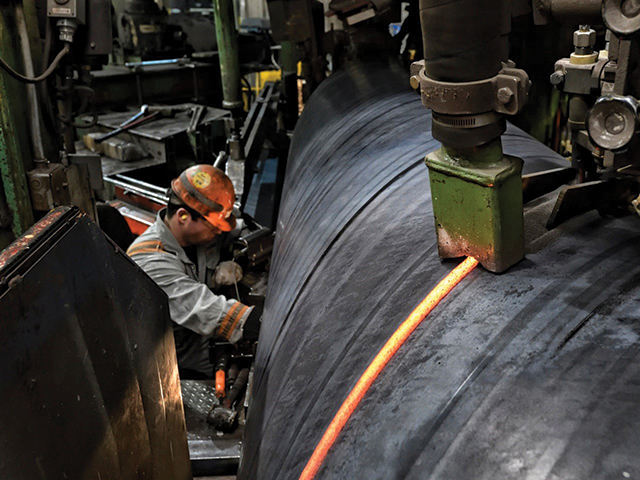 Using the steel coil from our Regina mill, tubular facilities produce line pipe, drilling pipe and connections. OCTG (seamless and welded) are manufactured in all four plants. In terms of manpower, Calgary (including the recycling facility) has about 500 employees (union and non-union). The Regina two-inch mill with the usual three crews runs about 50 people, but currently is at two crews. That has been the trend running since spring break up. Depending on the order situation we can crew up to as high as four crews running full out 24/7. The tubular division itself has roughly 600 employees with just over 1,000 unionized workers at Regina in total. The Camrose plant, producing pipe, casing and large-diameter transmission pipe on two mills has 300 employees.The Red Deer pipe mill, with 230 employees, produces small diameter OCTG, line pipe and EVRlock connections. How much is typically involved in ramping up for large projects like this? It depends on where we are in terms of current manpower and orders. If we are already running full out in spiral for LD then a change over on the mills varies on what we were running and what we are going to. It could be anywhere from a day to a week. As the number one producer of LD pipe in North America we have been very fortunate in the past few years to have not suffered a major layoff. If we are in a major layoff then it would take a couple weeks for everyone to get recalled and get the equipment up and running. Above: Steel coil from the rolling mill is unwound and then fed into the spiral mill. The granulated flux glows hot from the welding on the large diameter pipe. How easy is it to scale the workforce in your industry? Is manpower readily available? Much depends on where things are in terms of layoffs or not. Since September 2017 the company has hired roughly 130 new employees and we are at the highest employment rate there ever. 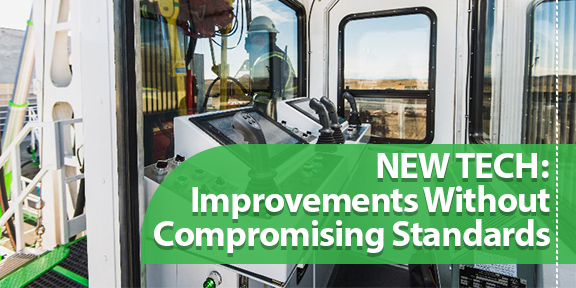 When Kinder Morgan suspended all non-essential activity and spending in April, Evraz decided to bring hiring to a halt. There are some who don’t believe the oil and gas industry has an impact beyond those who work for oil and gas companies. How much is a business like Evraz affected by oil and gas? 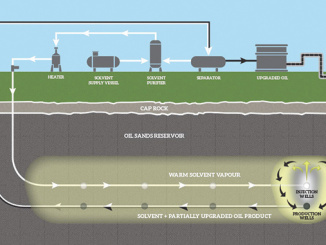 100% affected by oil and gas—as the oil and gas goes so does Evraz! Our plant can still make steel plate and what not but our number one customers are pipelines, drilling, etc. Evraz may have had plans or commitments in place to produce pipe for the Energy East and Keystone XL pipelines. What about for Trans Mountain Expansion Project (TMX)? For TMX, Kinder Morgan was committed to maximizing economic benefit to Canadians. As Evraz is the only producer of 100 per cent made-in-Canada pipe, Kinder Morgan announced a deal in May 2017 for Evraz Regina to supply the pipe for TMX. But that deal had some contingencies. 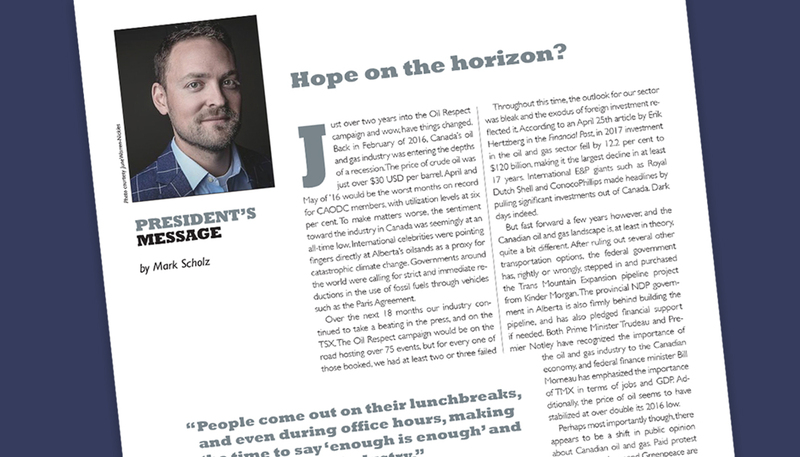 With Energy East being cancelled, and delays and confusion with Keystone XL and especially now with TMX, what impact has that had on business in the past 18 months? We still have other work for our mills and that work has been brought forward from the original order dates. Other customers have been very accommodating in that aspect. The worry is that we could be just prolonging the inevitable layoffs without the work for TMX. Trump’s proposed tariffs on steel were no doubt a hot topic for the company and the USW. What was the final result for Canada’s steel industry? 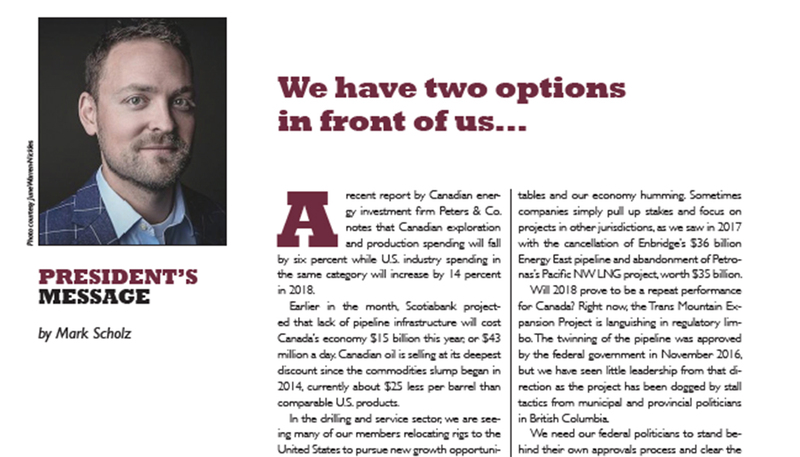 What would you say to critics who believe Canada is better off without the oil & gas industry? “I would like to know what products these people are willing to give up as petroleum products are in pretty much in everything we use. The fact people think the ‘taps’ can be shut off immediately seems to be rather hypocritical. If you ask the question to the critics about what their solution or answer is, they don’t have one. They are critical of the industry in Canada but yet have no problem letting our product be transported by rail (which is more dangerous than pipeline) to the U.S and be sold at a higher price by the U.S.
It’s bothersome for ‘critics’ to be okay with importing oil from countries that have little or no concern for basic human rights, but then on the other hand protest Canadian product getting to market. I think we can all understand that there may be other energy sources out there but not in the next 30 or so years. If people are concerned about TMX and a tanker spill, when was the last tanker spill? Exxon Valdez in 1989 was the last spill, and that was a single hull tanker. Single hulls were phased out and these waters have been navigated for over 50 years with tankers being tugged in and out of port.